Former campus becomes modern servicecentre. The former hospital campus Den Brandt in Boom is given a new use as a multifunctional complex with public services, police station, a nursery and assisted living accommodations. To assure the data-connection in the 62 assisted living accomodations, a Smart Media netwerk from Abitana was installed. Use of DIN-rail connectors in panel boards. 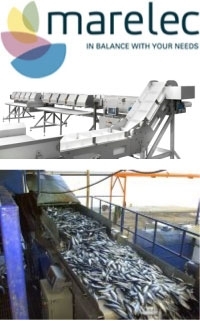 MARELEC Food Technologies designs and manufactures weighing and sorting systems for fish, meat and poultry. Abitana is therefore very proud that our DIN-rail connectors are used in most systems produced by Marelec.